This is the left-eye version of the Mars Exploration Rover Opportunity's view on its 56th sol on Mars, before it left its landing-site crater. To the right, the rover tracks are visible at the original spot where the rover attempted unsuccessfully to exit the crater. 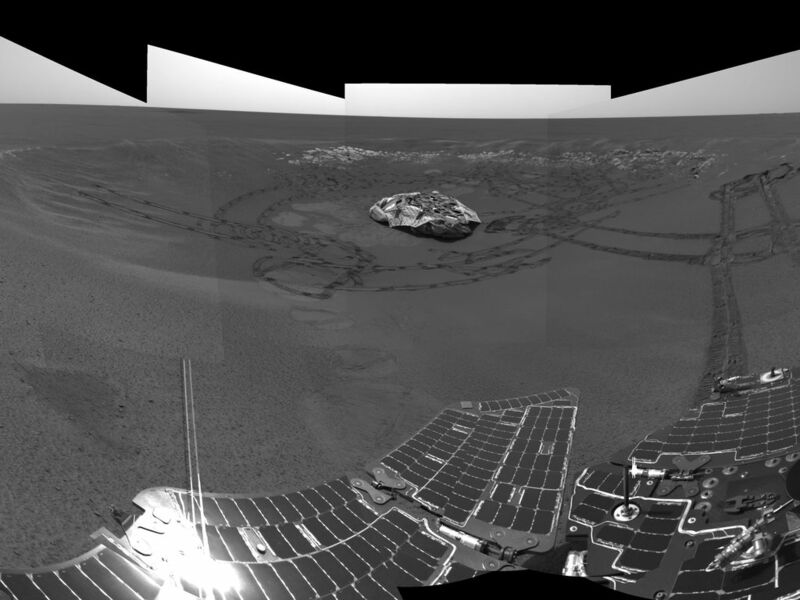 After a one-sol delay, Opportunity took another route to the plains of Meridiani Planum. 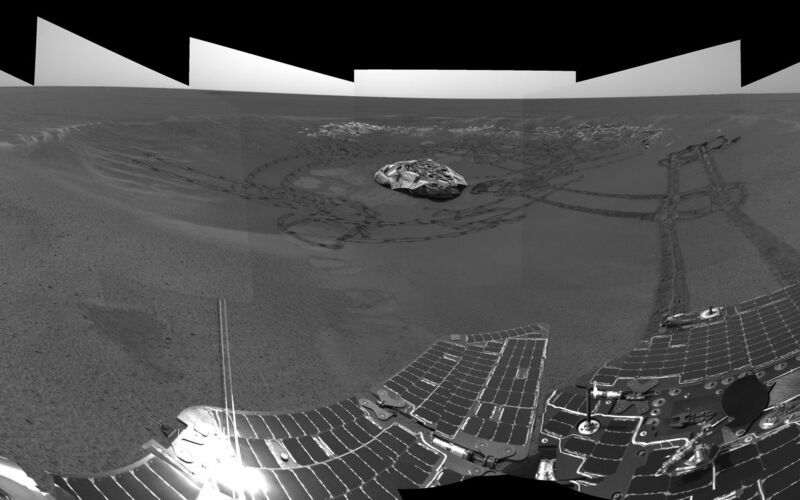 This image was taken by the rover's navigation camera.